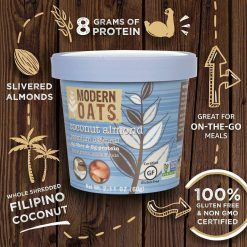 Modern Oats is delicious and convenient. 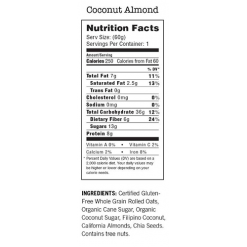 Coconut Almond, Apple Walnut and Chocolate Cherry flavors. 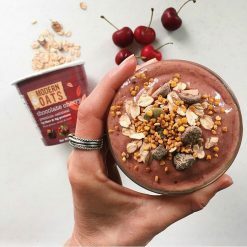 Great hot or cold. 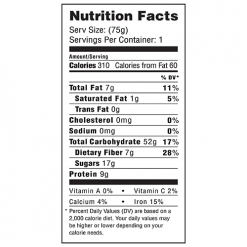 Add milk, plant-based milks or hot water. 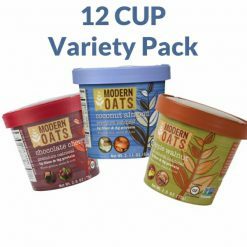 This Modern Oats variety pack with 4 cups per flavor gives you a total of 12 perfectly sized cups to provide you with all the nutrients you need to start off your day. 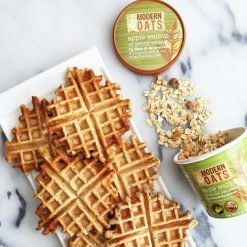 But the benefits of Modern Oats are so abundant that they can just as easily be used as a afternoon snack or taken with you on an outdoor trip.